A teenager who's lived a sheltered life because she's allergic to everything, falls for the boy who moves in next door. Everything, Everything is directed by Stella Meghie and was released on May 19th, 2017. 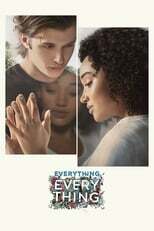 Director Stella Meghie's Drama & Romance movie Everything, Everything is produced by Alloy Entertainment & Itaca Films & was released 2017-05-18.